Remove Graffiti and Support a Local Charity! Take a snapshot of graffiti, send us the image and choose a charity of your choice. If we sell the job we will donate 5% to the charity! 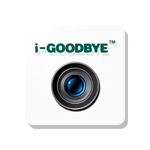 i-Goodbye for Ever-Clean clients allows Ever-Clean clients to download an app and then effortlessly report graffiti directly to Goodbye Graffiti’s customer care centre. The app allows you to capture an image and input your information to comprise a report. Graffiti reports are immediately dispatched to your local office and scheduled for removal. 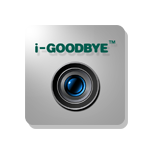 The Ever-Clean program allows any organization to say Goodbye Graffiti™ in an effective and economical way. Our custom designed low cost maintenance programs can be utilized on everything from a single statue to an entire national chain of shopping malls. The Ever-Clean includes; weekly patrols, detailed pictures of all graffiti, monthly online reports, unlimited call outs, guaranteed response time and all necessary supplies for one low monthly rates. 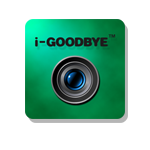 i-Goodbye for Estimates allows any client needing Graffiti Removed to contact us via an app. The app allows you to capture an image and input your information comprise a request. Through this app you can request an estimate for graffiti removal or provide a purchase order number and do not exceed amount to produce a work order. Requests are immediately dispatched to your local office and a team member will be in touch. Our custom manufactured graffiti removal products allow us to remove virtually any mark on any surface. Our extensive hands on experience has allowed us to formulate the most comprehensive graffiti removal product line available anywhere.